MAGEN eco-ENERGY has acquired 100 percent ownership of UMA Solar — national distributor of Heliocol, Solene, SunStar and Heliolectricsolar energy solutions — from partner Victor Eyal. For more than 30 years, MAGEN eco-ENERGY and Victor Eyal shared 50/50 ownership of UMA Solar and its affiliates. Magen's acquisition and resulting 100 percent ownership of the company puts UMA Solar and MAGEN eco-ENERGY at the forefront of the global solar thermal market, enhancing each company's future growth and performance. "We have seen a tremendous opportunity for growth in the U.S. solar thermal market," said MAGEN eco-ENERGY CEO and UMA Solar Chairman, Mati Bavli. "We believe the solar thermal industry in the United States is still at the ground floor level. The acquisition of UMA Solar creates new growth opportunities for our current and future partners." From left: Mati Bavli, MAGEN eco-ENERGY CEO and UMA Solar Chairmain; Itzik Amar, MAGEN eco-ENERGY VP of Marketing; and Victor Eyal, UMA Solar President and CEO. UMA Solar CEO and President Victor Eyal said the acquisition gives the company the ability to expand aggressively, further maturing as the nation's top solar thermal manufacturer and distributor. "Our long affiliation has shown us that we share a vision of growth and innovation," Eyal said. "Our combined organization has the people, technology and quality of service required to lead the solar industry." 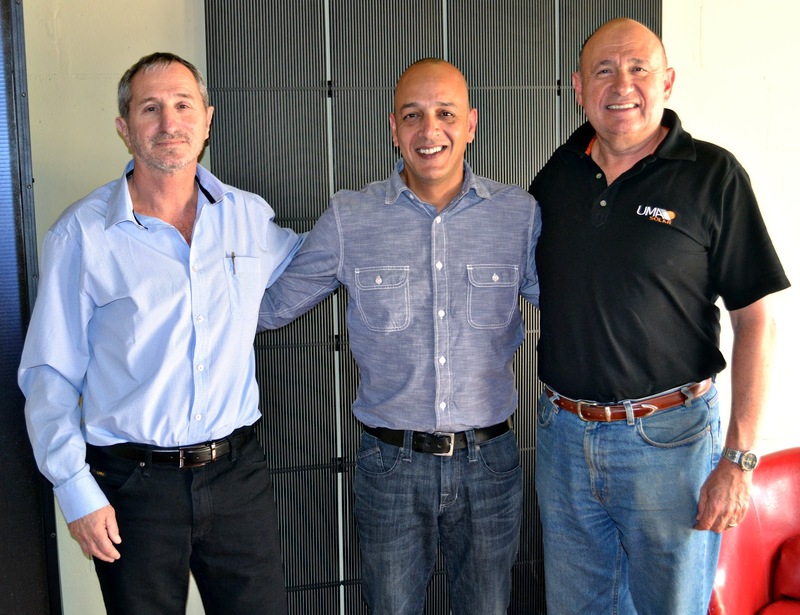 Eyal retains his position as CEO and President of UMA Solar and its affiliates. "UMA Solar remains a U.S.-based company," Eyal added. "And we will continue to manufacture and distribute top-quality solar energy solutions, including products meeting the requirements of the Buy American Act. Our pursuit of new partnerships with contractors and distributors nationwide will carry on while our investment in engineering, marketing and research and development will significantly increase." UMA Solar manufactures and distributes the industry's highest-performing solar products for residential and commercial applications nationwide. UMA Solar features industry-leading products including Heliocol, the world's top solar pool heating systems; Solene Solar Water Heating Systems utilizing the industry's highest-rated domestic water heating systems with more than 100 OG-300 systems available; and, Heliolectric, photovoltaic (PV) solar electric equipment packages, individual components and complete systems. UMA Solar offers its products through its network of more than 700 dealers nationwide. Five distribution locations are strategically placed throughout the U.S. for convenient and continuous availability. For more information, call UMA Solar at 1-800-79-SOLAR or visit http://umasolar.com. MAGEN eco-ENERGY, an Israeli-based global manufacturer of renewable energy solutions, is the parent company of the Magen International Group. In the nearly forty years since the company was founded, MAGEN eco-ENERGY has grown into a world leader specializing in the R&D, production, and marketing of ecological, economical solutions for each of its major product lines: Solar Heating for Swimming Pools, spas and Jacuzzis, Solar Water Heating Systems for domestic and commercial use, Natural Salt Chlorinators, Industrial & Agricultural Heat Exchangers and Pre-Heating solutions. Magens' known brands are: Heliocol®, Sunstar®, eco-Flare®, eco-Spark®, and Heat-Kit. Committed to quality, the company is ISO 9001:2008 and ISO 14001:2004 approved. For more information, visit http://www.magen-ecoenergy.com. For more information, please contact Tod Ellington, Director of Marketing at tellington@umasolar.com. Acquisition means that aggregate expansion is a determinant on how successful and sustainable UMA is with their solar technology. Their recent acquisitions will help expand and consolidate their current existing solar power technology.